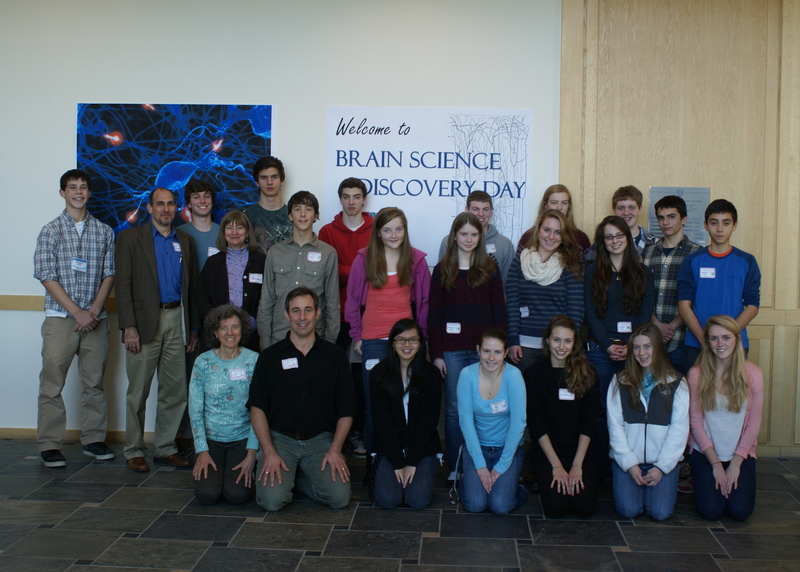 The Brain Science Discovery Day was held on Saturday, December 3, 2011 at McCardell Bicentennial Hall, Middlebury College, Middlebury, Vermont. 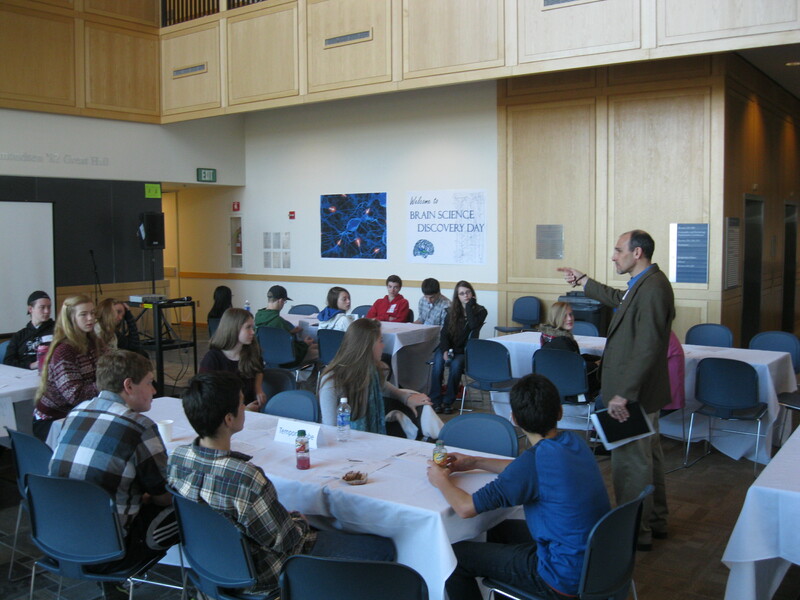 Twenty enthusiastic students from four high schools participated in exciting hands-on brain awareness activities. 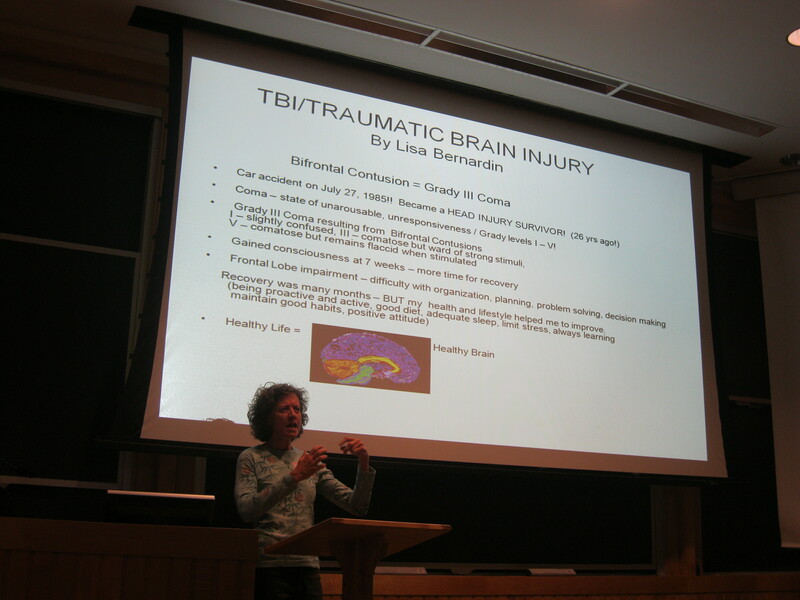 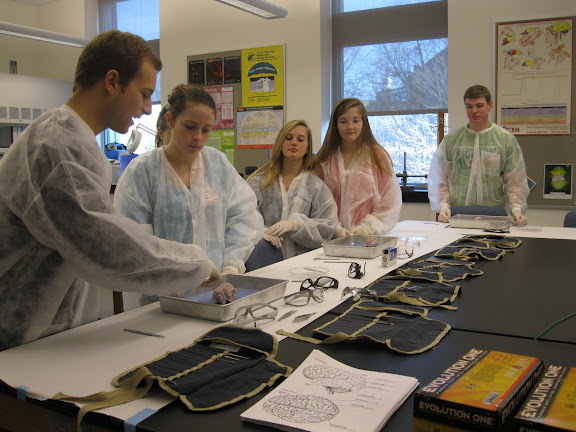 A Middlebury College undergraduate student with high school students during an anatomy description.